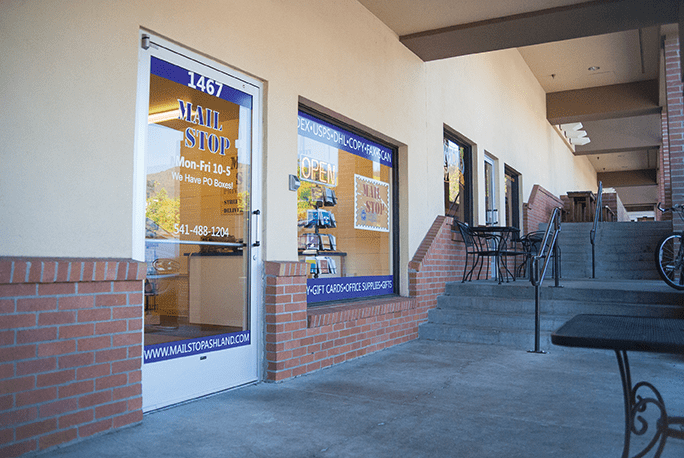 Conveniently located in the Market of Choice Shopping Center, the Mail Stop fulfills all your shipping and postal needs faster and with less hassle. 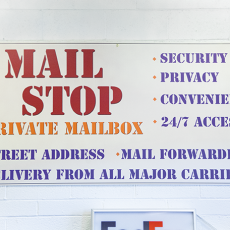 The Mail Stop offers complete FedEx Ship Center services and is a U.S. Postal Service authorized agent. 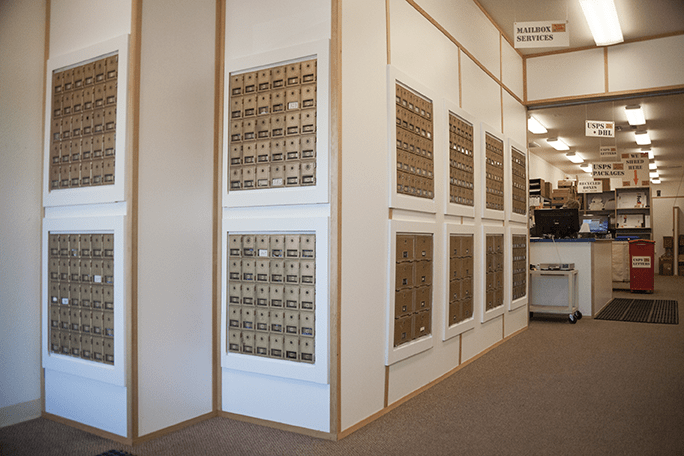 Nearly three hundred private mailboxes help you send and receive packages quickly and easily while avoiding the long lines or terrible parking you might experience at other locations. This is not your typical post office! In addition to their fast and friendly service, the Mail Stop also offers professional packing, and with a NEW twist. The Mail Stop has bundled together lightly used boxes and packing material for one flat rate cost. Pack like a pro and save money doing it! 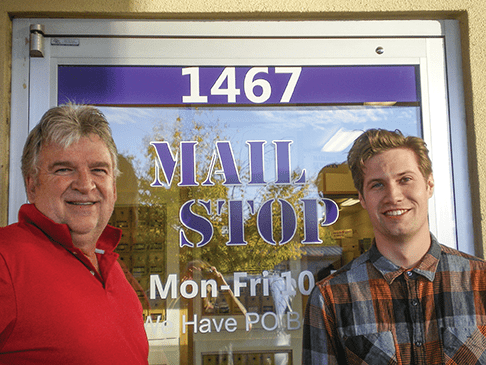 The Mail Stop will not only help you get your items packed, they will save you money by offering you the most economical solution to all your shipping needs. 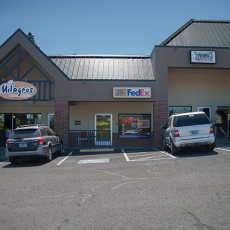 While you’re at it you can get groceries, drop off your dry cleaning, enjoy Mexican food from Milagros, pizza from Martolli’s, or a nutritious drink from Heartsong. Great to speak with you again. What’s up at the Mail Stop? 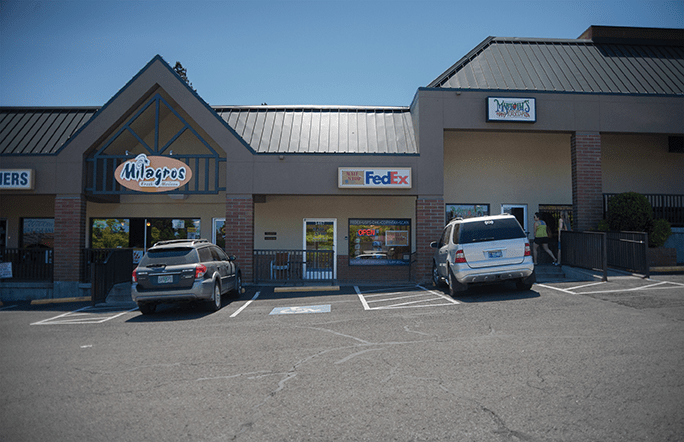 Our customer base continues to increase because of the convenient parking and the service we provide for clients who need to ship commercial items or personal gifts. We are approaching a ‘wait list’ in our private mail boxes. Also, more and more people realize that if they bring prepaid FedEx boxes into the Mail Stop for pick up, THEY SAVE MONEY! 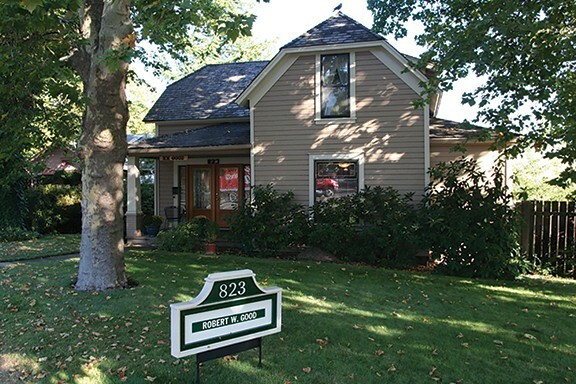 Our customers all appreciate our great location. The big news at the Mail Stop is we are becoming more ‘green’ in the way we ship things. Our new service is called Packing Solutions. People can now come to the Mail Stop and purchase 2, 3, or 4 lightly used boxes, bubble wrap, packing paper, or air pillows to pack their shipping contents like a pro!! The great news is it is a bundled price of $10 bucks. 10 bucks: boxes, and packing material… done!! How are people receiving the new service? Packing Solutions has been very well received. As a matter of fact, the program has been so well received that I have discontinued buying new boxes! Nice to step back from being a consumer of everything! I am pleasantly surprised that Ashlanders prefer the lightly used option for shipping, and not just to save money but because it is the right thing to do. A lot of people find it frustrating to have ordered something online and then receive the item packed in multiple boxes, or in an over-sized box, with tons of nonessential padding. It’s wasteful and unnecessary. We urge anyone interested in reusing materials to join our Packing Solutions program. You can save money and be proactive in reusing materials. You guys have developed a great reputation for your service. How do you do it? It’s nice to have customers come in and want to have the ‘kid’ take care of them, or maybe they want the boss to roll things out for them. Either way, it comes down to listening to what people would like to do. What works for us is sharing our expertise with what the customers want. We let clients choose from a list of our options. If, for example, a ‘flat rate service’ is advantageous for the client, we are happy to make the necessary packaging changes for them to make it work. This kind of service doesn’t exist downtown. There’s more but I would like to invite people to come in and experience it instead of talk about it. Do you guys need any help in spreading the word about the reused boxes and packing supplies program? We always need to spread the word. 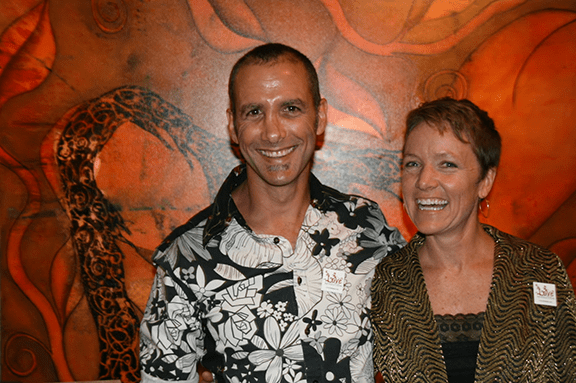 Most of our customers come to us by word of mouth. Our packing solutions program helps many people but if you don’t have time to pack your stuff yourself, or you don’t want to dig boxes out of the garage, bring your items into the store and for a small fee we will pack them for you. You get stuff packed, get them shipped with the right carrier, and most importantly, you know that it is done and done right… all done…. all right. You guys truly are not your normal post office. We like to have a little fun while we work. 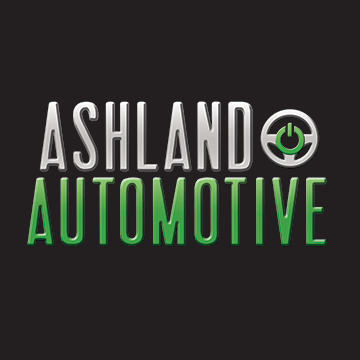 We know our customers appreciate us and we think we do a pretty good job. We like rock’n’roll with a strong side of jazz, and usually have one or the other playing all the time. We are willing to share advice on how to ship things. I often wonder how many times people overpay because they don’t have the right sized box, ship with the wrong carrier, or don’t compare rates. Loran, can you give us an overview of things you can help us with? 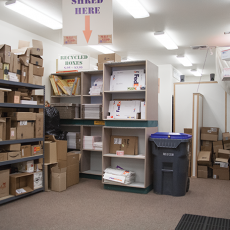 Shipping – We ship memories, personal treasures, financial documents, travel documents, and commercial items. We also reunite owners with forgotten items from their vacation, get care packages to college students, and help people move from an old circumstance to new one. We can add insurance on high value packages, arrange for signatures confirming the package was delivered, or make off-hour deliveries. 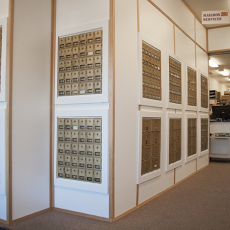 Private Mailboxes – Our private mailboxes offer convenience, security, and privacy at competitive rates. Box holders have 24/7 access to getting their mail. We take delivery from all carriers – FedEx, UPS, and USPS. 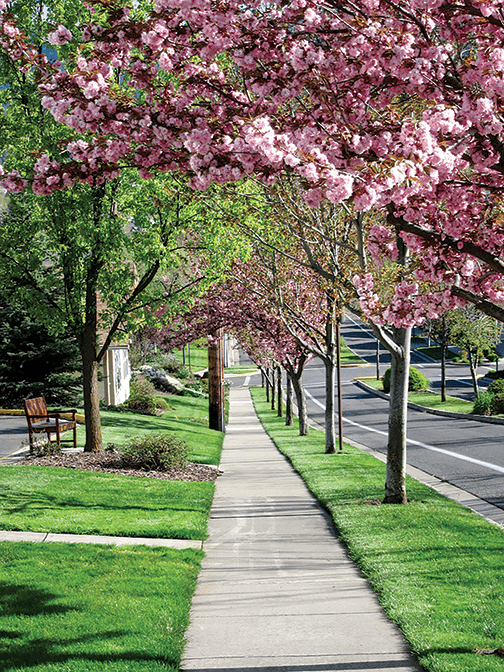 You get a street address as a mailing address and no longer need to leave packages unattended on the porch after delivery. 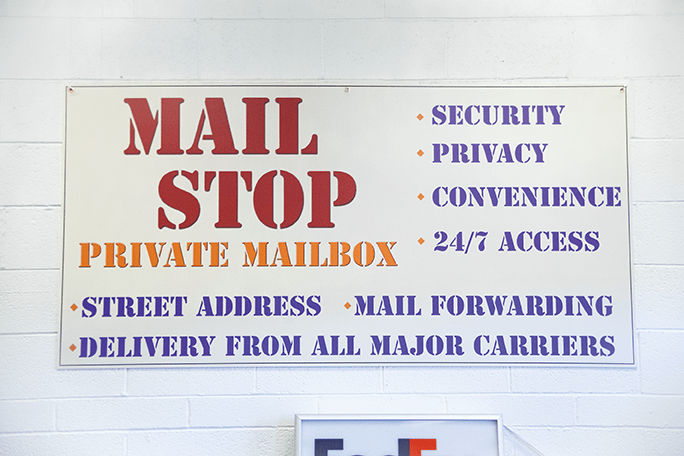 Drop-offs – The Mail Stop accepts parcels with preprinted FedEx or UPS return labels. No more waiting for the driver to come and pick up, and no pickup fees. 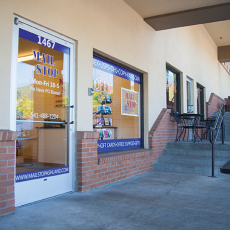 Copy, Scan, Fax, Notary – We notarize important documents, and if necessary, ship them overnight from the Mail Stop. If you need a document scanned and e-mailed to a recipient we do that too. We also do faxes and copies. 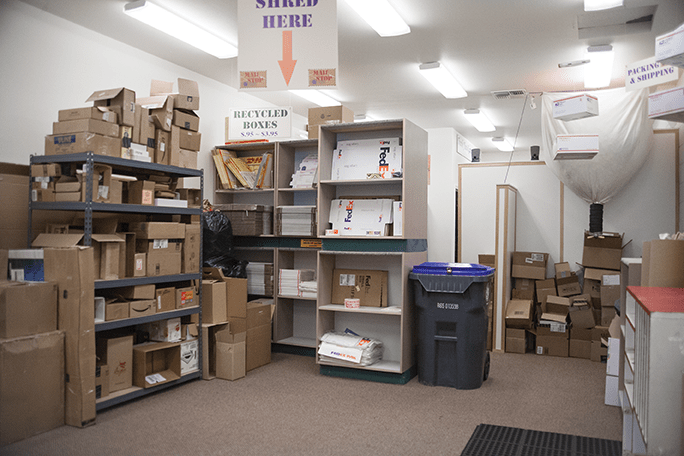 Shredding – Our personal information always need to be protected. Whether you are a corporation or an average Joe, important documents should be properly disposed of. We shred for 69 cents a pound. Drop your important docs off anytime. Mail Forwarding – Going on vacation? Staying at the second home? Moving? No problem. The Mail Stop forwards mail for the cost of postage and $2.00.